The Rapier Field Standard C (FSC) is a short-range, low-level air defense (LLAD) system that was developed by European-based MBDA Missile Systems. 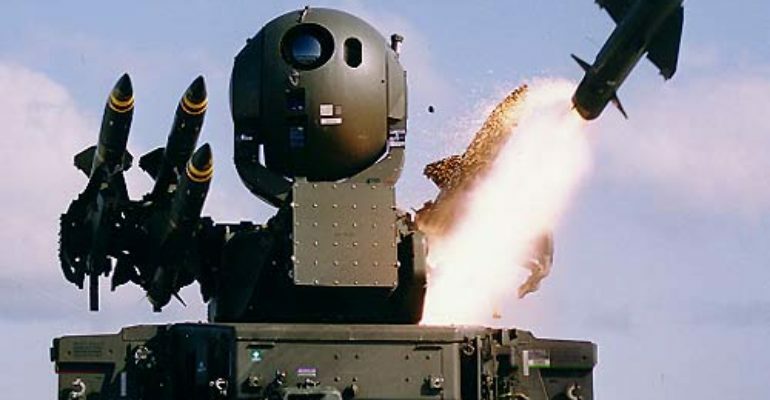 It utilizes the Rapier Mk2 missile, a supersonic and highly maneuverable surface-to-air missile (SAM, which uses a fragmentation warhead that is detonated by a proximity fuse. [i] For targeting and surveillance, Rapier uses the Dagger and Blindfire radars. Dagger operates in the J-Band, can detect 75+ threats per second, and is able to switch wavelength frequencies quickly. [ii] Blindfire operations can operate in the F-Band frequency, but can also be used as a passive infra-red electro-optic sensor. [iii] Furthermore, all FSC systems are equipped with Successor Identification Friend or Foe (SIFF) technology to determine if aircraft within the radar’s range are allied or hostile.